Here are some random, candid, photos I took at various places with either my Olympus OM-D EM-1 or iPhone 5s camera. There is no theme associated with them. I was just looking through all the photos I have and chose these for this posting. You can click on the picture to enlarge them somewhat. Likes, comments, and follows are much appreciated. 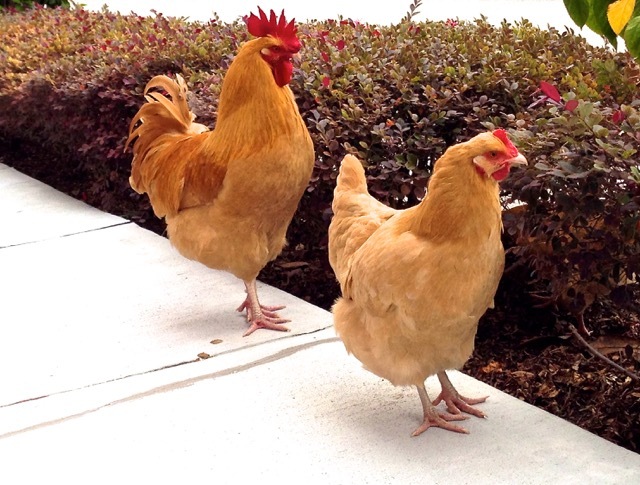 These two characters just happen to be next to a business complex I was visiting one day. They are definitely “free rangers”. Luckily, I had my trusty iPhone with me. 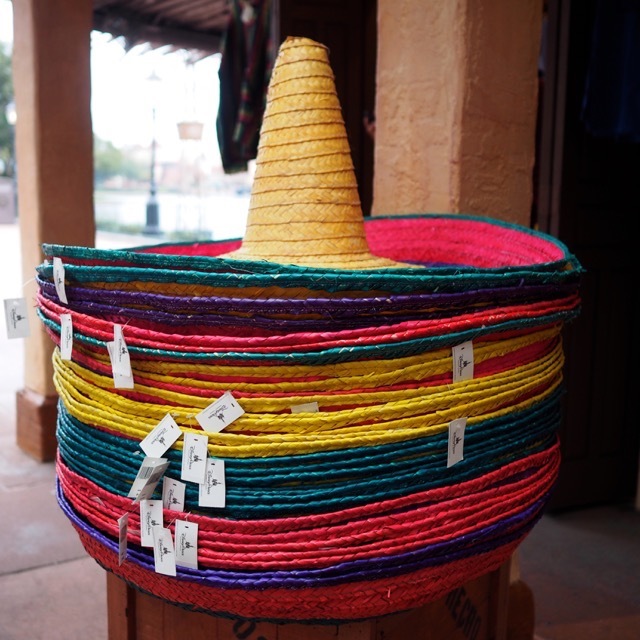 Sombreros for sale. I thought they were quit colorful and deserved their moment in posterity. They can be found at EPCOT in Walt Disney World, Orlando. 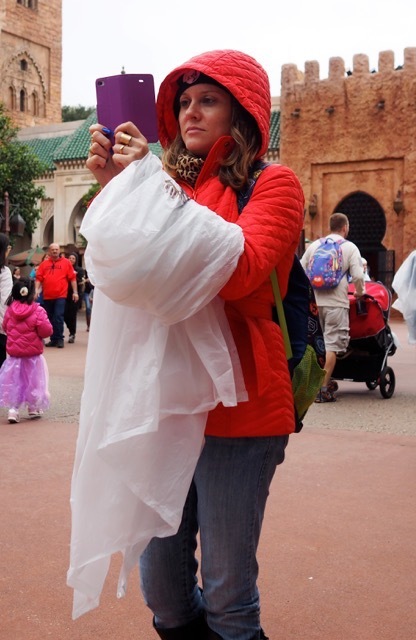 It was a rainy day at EPCOT. 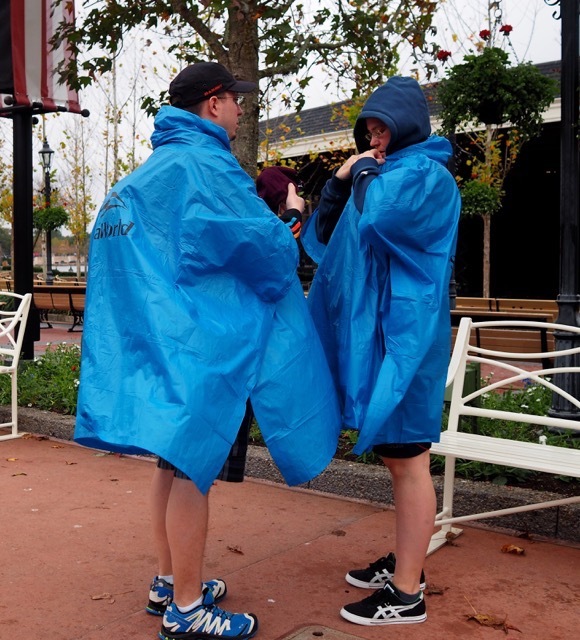 These folks came prepared with their bright blue ponchos. 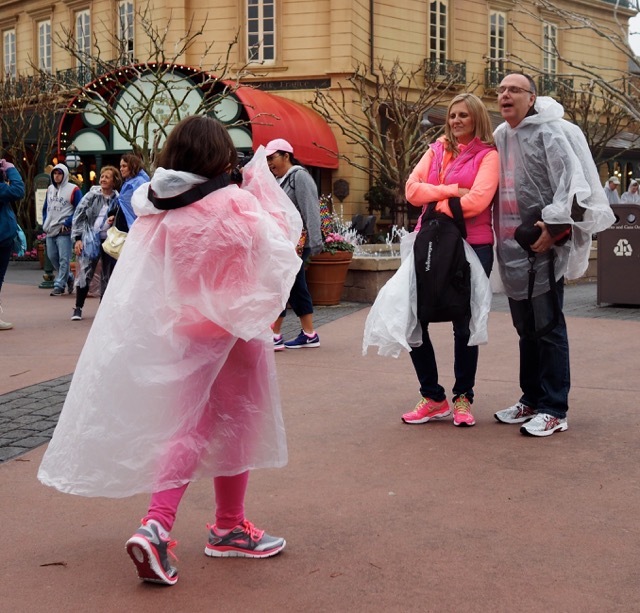 Another poncho photo. This one was made at EPCOT in the French area. I liked the way the photographer was standing. Nice election of athletic shoes too. 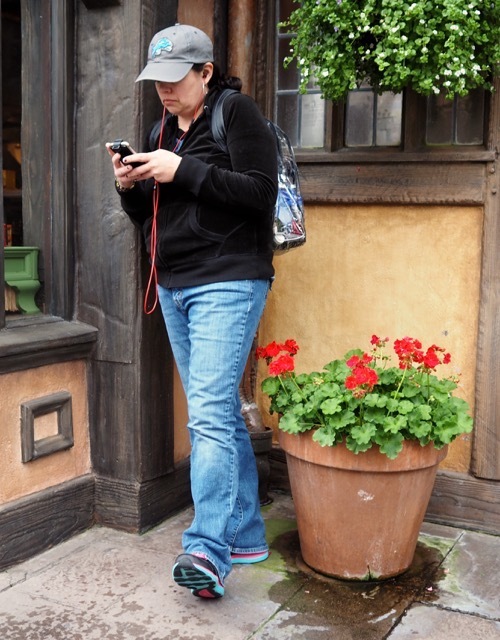 I’m not sure if she was taking a photo at EPCOT’s Morocco area, or reading. You decide. Looks like that geranium plant had an “accident” while she was on her phone. Or, did she have the “accident”? This was another iPhone shot. 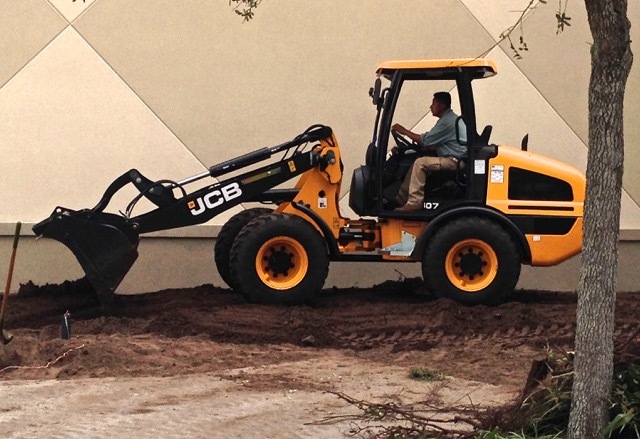 I thought the machine was very colorful on a dull, rainy day. 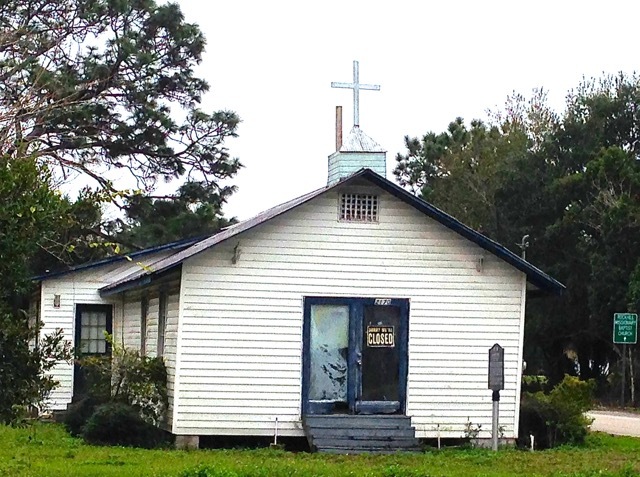 This local church is near the business complex I mentioned earlier. It’s always closed when I go by. I made this photo with my iPhone.